Nusa Lembongan or Lembongan Island is located just southeast of Bali, Indonesia in the Indian Ocean. It is accessible by speedboat from Sanur, Bali in about 30 minutes. The tiny island is surrounded by coral reefs, blindingly white sand beaches and sheer limestone cliffs. I rented a motorcycle and probably could have circumnavigated the whole island in less than an hour but around every turn, the scenery just begged to be admired and photographed. 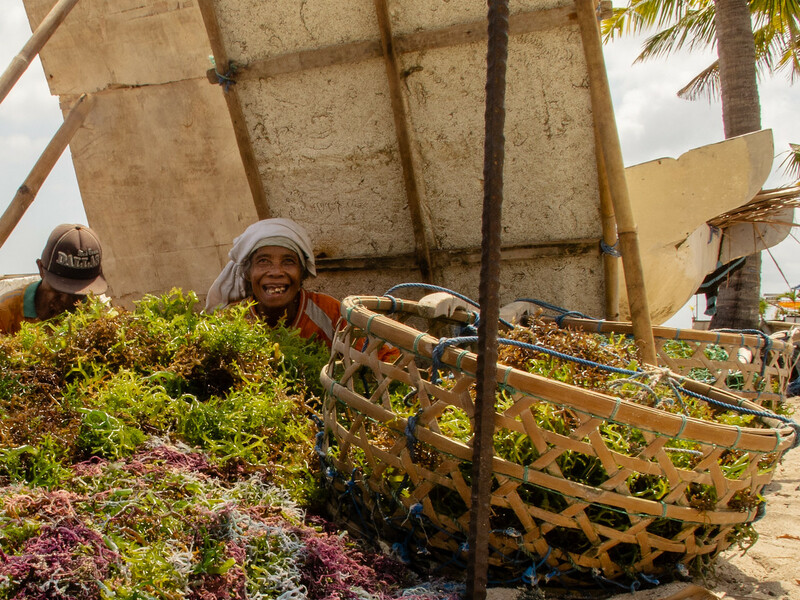 Lembongan’s economy is largely tourism-based but many of the residents make their living from seaweed farming. The islands 5,000 or so residents are used to visitors and seem un-jaded, genuinely welcoming and understanding of the fact that they live in a special place and people are going to want to come and see it. 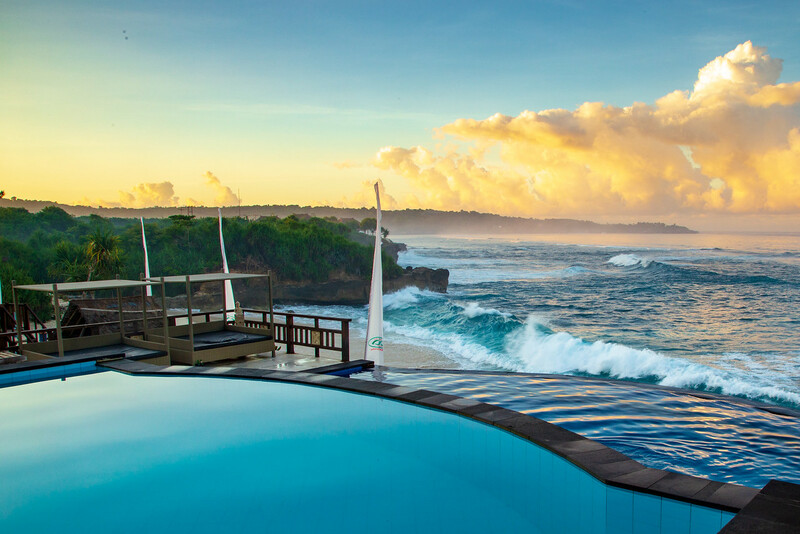 Accommodation on Nusa Lembongan runs the gamut from cheap backpackery guest houses to over the top upscale luxury. I splurged and stayed in a place on the high side of mid-range for about $60 a night. For this, I got a simple room with an outdoor Balinese style outdoor bathroom, stunning views of the Indian Ocean and full use of the infinity pool. The hotel had a great mix of International clientele, a good restaurant, and music on the sound system that just begs you to stay, relax and have another cocktail. 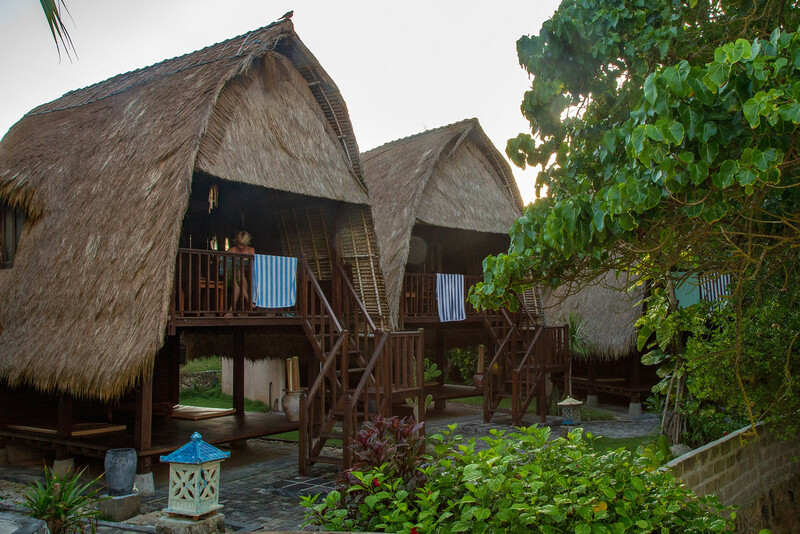 I had only booked two nights on Nusa Lembongan and there was no room at the inn after that. It is a brilliant place and I know I will be back. The only way to get to Nusa Lembongan is by boat but you can choose to go via a speedboat which takes around 30 minutes or slower but much cheaper and take 90 minutes. Most boats leave from Sanur Beach and cross the Badung Strait to reach Nusa Lembongan. Crossings can be a bit choppy so try and choose a day when the sea conditions are calm. And don’t be surprised if you have to wade through water to board and disembark the boat. 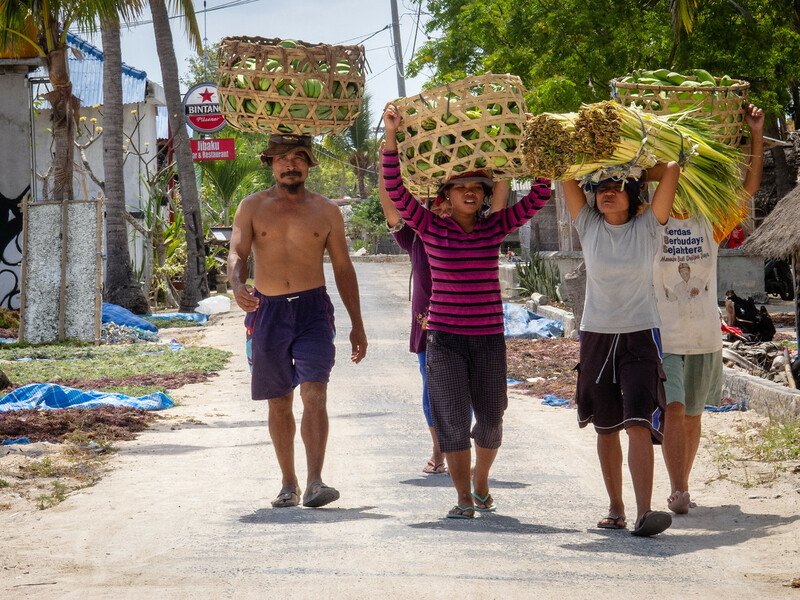 Most boats to Nusa Lembongan arrive at Jungut Batu beach, the most developed part of the island, although some companies operate speedboats that arrive in Mushroom Bay, a small bay in the southwest corner of the island. For budget-conscious travelers with time to spare, take the Perama boat. The price of your ticket includes hotel pickup and drop off. The ferry leaves Sanur daily at 10:30 a.m. and takes around 90 minutes to reach Nusa Lembongan. The speedboats take around 30-40 minutes to reach Nusa Lembongan. Again the price of your ticket includes hotel pick up and drop off. There are many companies that offer this service. Ticket prices are around $30 one way. Although if you know when you are returning, best to book a return ticket as the travel agents in Nusa Lembongan tend to charge a lot more than in Sanur for a ticket. The ATM’s on the island don’t always work so bring extra cash with you. If you are looking for a busy beach with lots of accommodations, bars, and restaurants, then stay at Jungubatu beach. This is where the boats arrive into. Mushroom Beach is a nice secluded bay in the south of the island but day cruises often come here, so can get crowded during the day with daytrippers. Ental Point is an interesting beach to visit. It’s very local and you can observe the seaweed farmers. But for a relaxing chilled place to stay, I recommend Dream Beach. This video was taken about 100 meters from Dream Beach at a place called “Devil’s Tear”. Looks like a wonderful place to spend a couple of nights.